There is something so relaxing about the lighter shades of the color palette for your spaces, that you want to escape from the world in. Bathrooms, bedrooms and sitting rooms are ideal for using soft colored textiles, bedding, and decorative decor throughout your space. And quietude is just the ideal pastel shade to achieve this. 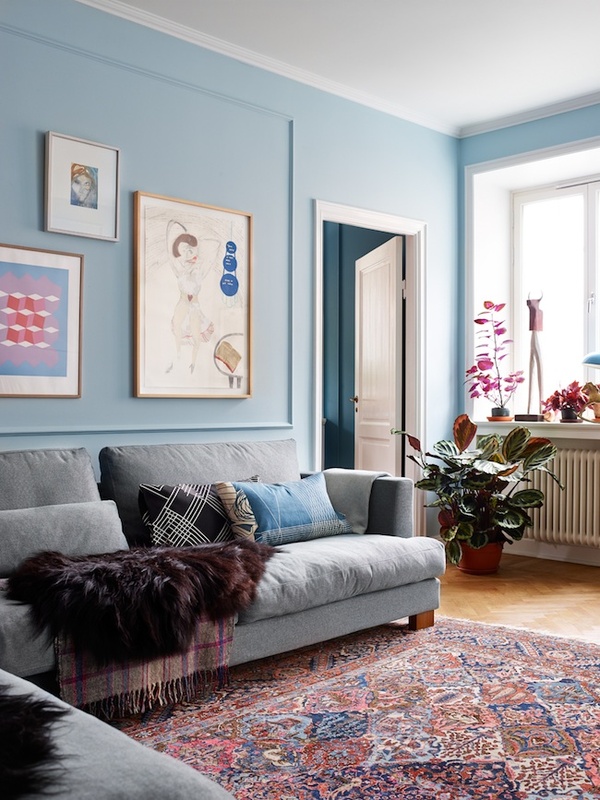 From minimal accents to extravagant, mono-color spaces, a bit of quietude blue can bring a whole lot of perspective to a room. Pastels will always bound well with pale blue walls. Matched with “lollypop” colors candy pink, mint green and pale lemon, creates the perfect calm and serene environment for children’s rooms. Quitude is great for children’s bedrooms as they can simply alter the color of the accents and accessories as they get older and change the way blue looks. For example, blue and butter yellow when they are babies, blue and mint green for toddlers, blue and orange for young kids, blue and white for high school kids. You can go as far as your imagination. The easy versatility of quitude is the ability to blend with natural colors and materials such as wood paneling, wood floors, rattan, seagrass and more in your interiors. Look to lighter colored woods such as white oak, bamboo, lighter maple and similar varieties to compliment your pale blue decor and appointments. Due to its calming effect, try not to break the harmony by random throwing contrasting or intense colors! Burgundy is one bright exeption. Burgundy color gives the room festive, adds solidity and luxury. Hopefully you got some new inspirations and guidelines for your quietude inspired April!